Your voreclaw leaps at a target with less than 30% health and sinks in, dealing <<1>> internal damage. 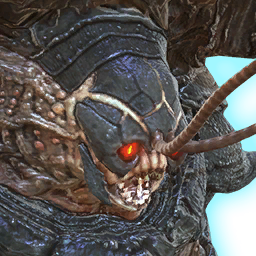 The voreclaw smashes into an enemy, dealing <<1>> kintetic damage to up to 5 targets within 4 meters of the enemy target. Fires a multi-grapple line from your creature's cuffs that fires in a wide cone in front of the creautre and pulls the closest three targets and generates a high amount of threat. Only affects targets that are in combat and are not in cover or have Boss Immunity.